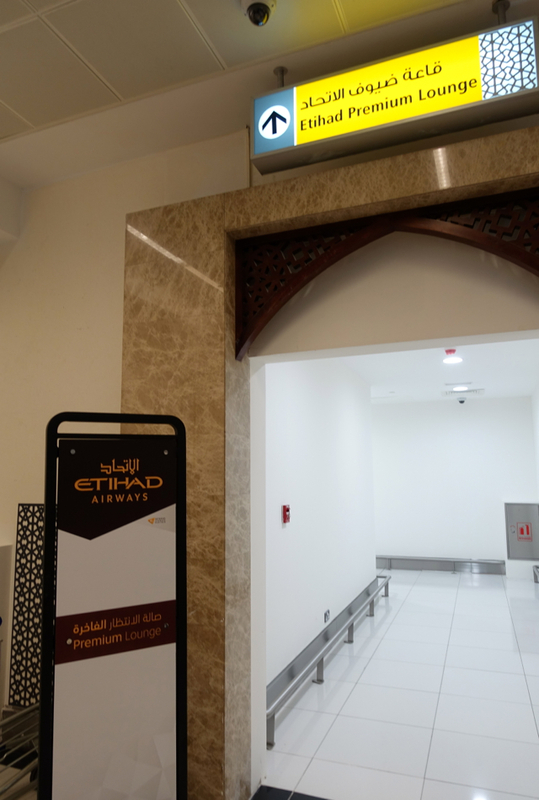 Etihad's Premium Lounge in Terminal 1 is open to both Etihad Business Class and Etihad First Class passengers; Etihad's Premium Lounge in Terminal 3 near Gate 35 normally has a separate Etihad First Class Lounge section, but that's closed for renovation and will only reopen later in 2015. 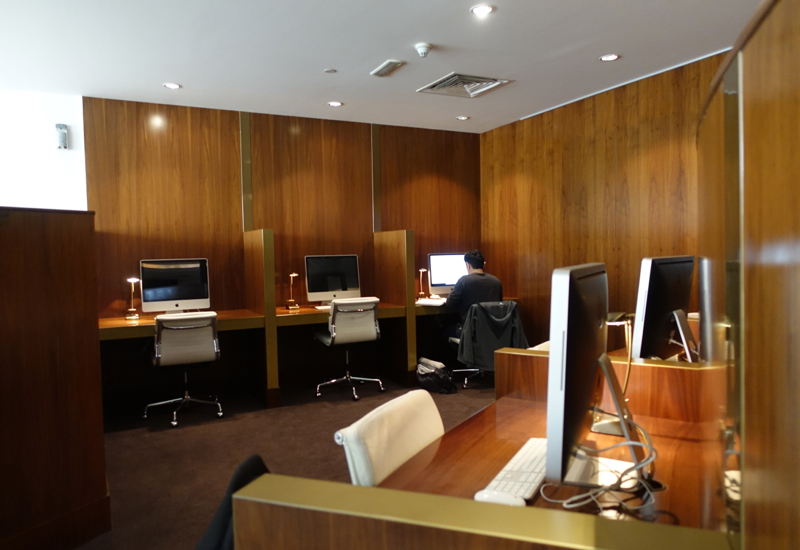 So for now, there's no dedicated Etihad First Class Lounge. 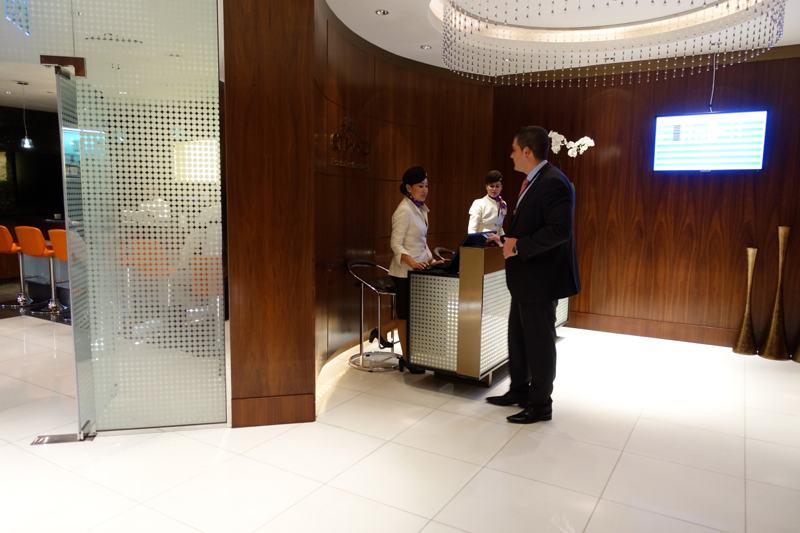 I was curious to see how Etihad's Premium Lounge in Terminal 1, with its combined access for First Class and Business Class passengers, would compare to Etihad's First Class Lounge in Terminal 3, which I can't say I was that impressed with last time, apart from the exceptional short massage at the Six Senses Spa. Then you go through a hallway that makes you wonder if you're in the right place, before coming to another sign and going up the stairs (or in a very slow elevator) to the 2nd floor. There was a slight wait from a couple passengers ahead of us, before we were checked in at Reception. 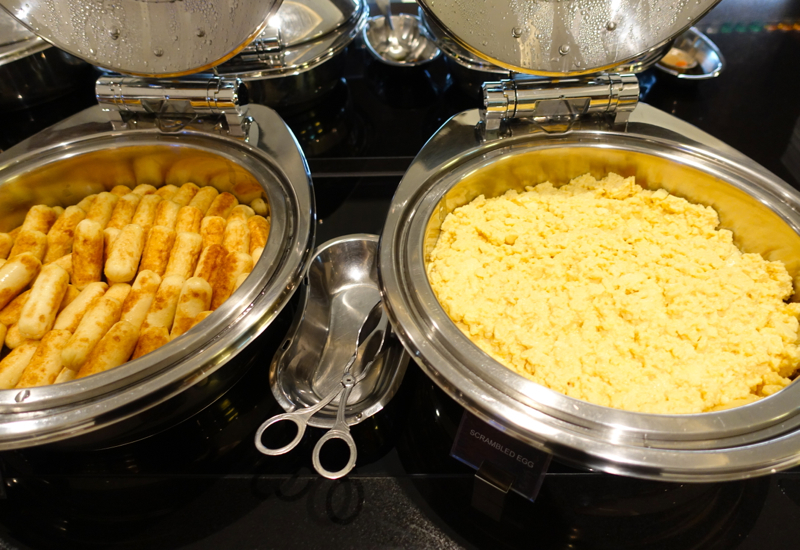 Unlike Etihad's First Class Lounge, it's buffet dining only at Etihad's Premium Lounge in Terminal 1, with no menu service. There is a Six Senses Spa, which unfortunately I had no time to experience as we had to catch our morning flight after just a brief lounge visit. The Six Senses Spa has a shower room, which is a good thing, since the only other shower room is a shower room in each bathroom. 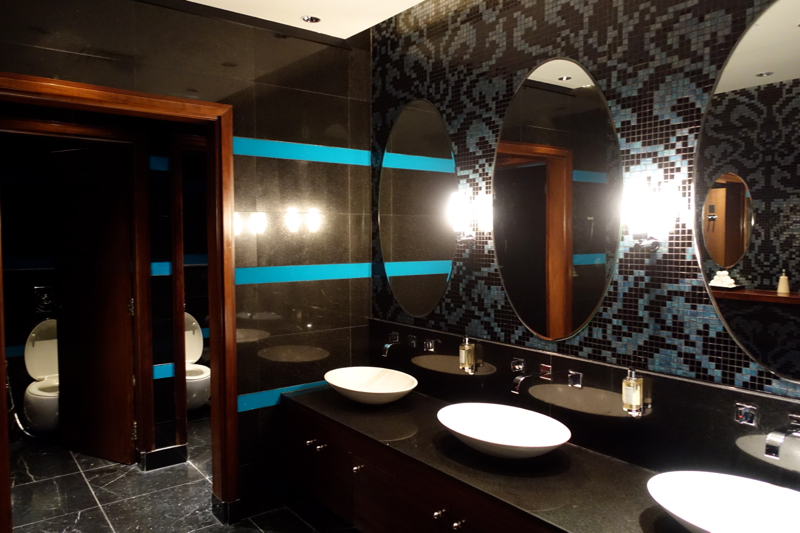 Here's the women's bathroom, which always had an attendant in it. 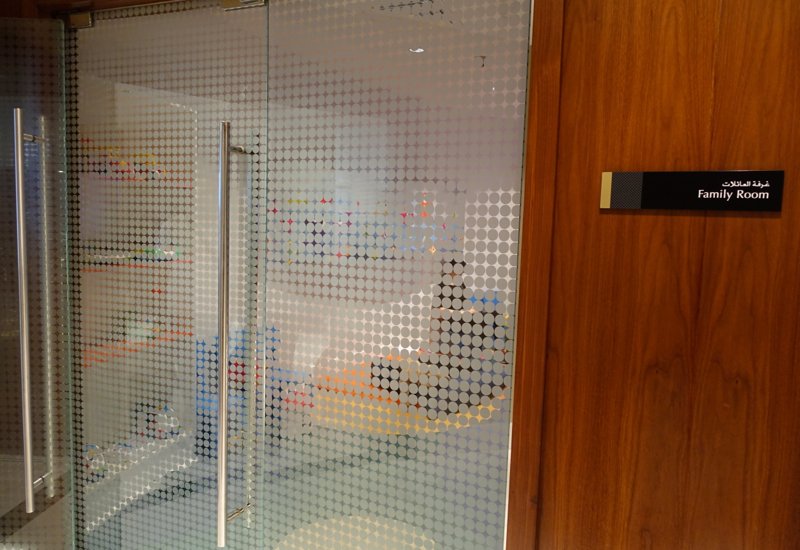 There's also a family room, but it was small, and when I opened the door to see if it was empty so that I could take a photo, I found a mother frowning at me with her child asleep in the play room, so I just took a photo from the outside. 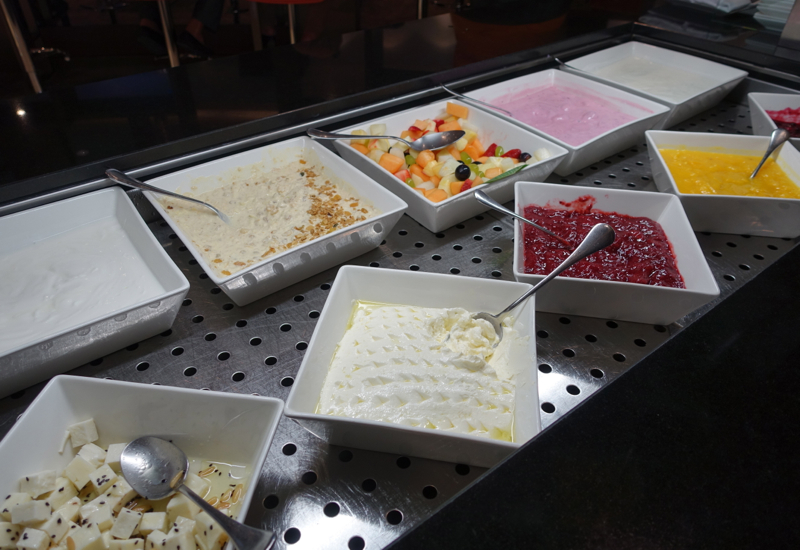 Since we were there in the morning, there was a breakfast buffet set up, with adjacent bar seating and on the other side, table seating. And my next favorite area offered a very limited quantity of smoked salmon and other smoked fish, along with cheeses and breakfast meats. It didn't look as though the smoked salmon was being replenished very quickly, and it was basically just a serving for two people that was laid out at a time, even though the lounge was packed. 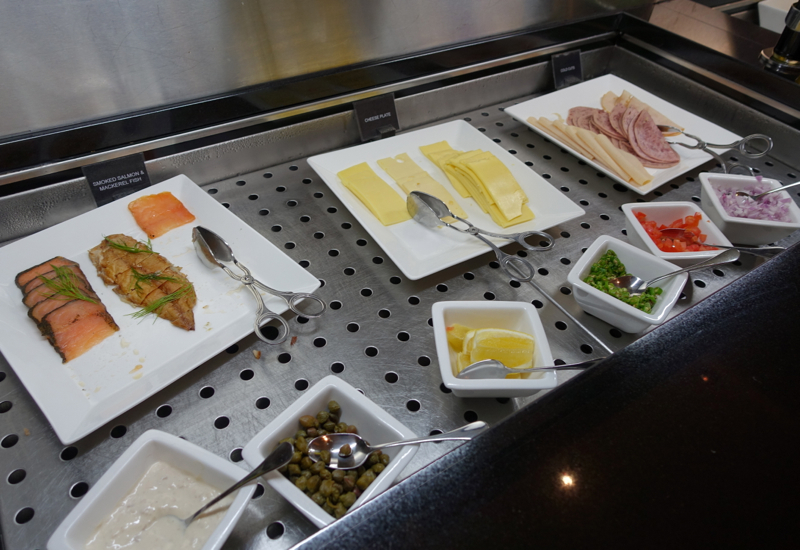 The hot items in my view were lackluster–the usual scrambled eggs and breakfast sausage, grilled tomatoes and baked beans. 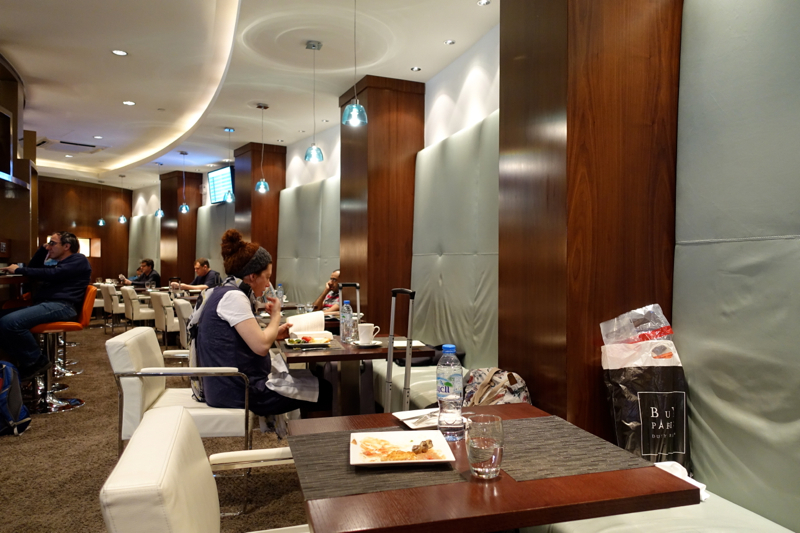 I was even less impressed with Etihad's Premium Lounge in Terminal 1 than I was with Etihad's First Class Lounge in Terminal 3, back when it was still open. 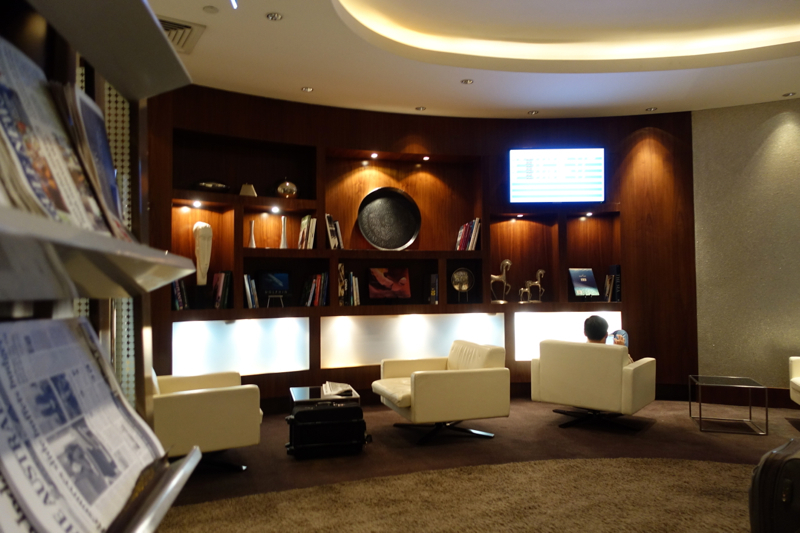 Both lounges at the times of my visits were very full, with insufficient space and seating for the number of passengers. Similarly, and weirdly for an airline that likes to promote its onboard chef, the food was also lackluster and there were insufficient quantities of popular items such as smoked salmon. 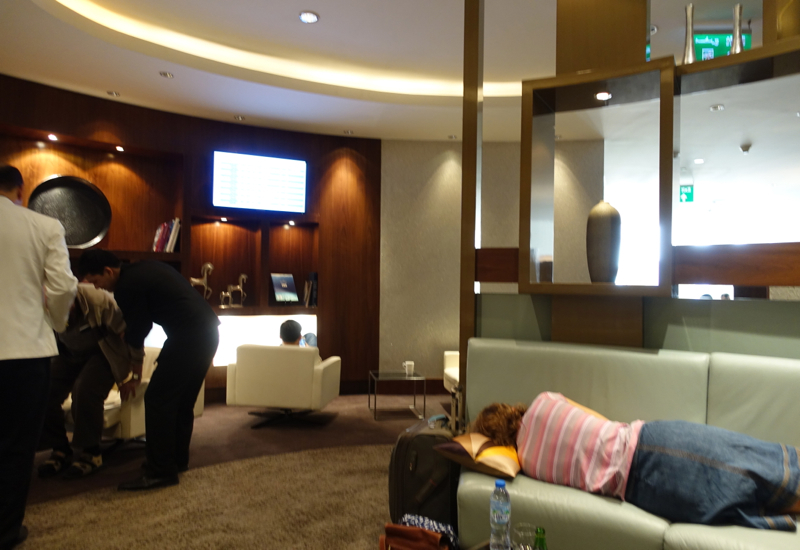 Given the long haul flights passengers take into and out of Abu Dhabi, it really would be good to have a nap room of some type, given the two people I saw napping just during my brief morning visit to the lounge. And finally, there should be a few more shower rooms–the ones in the women's bathroom and the Spa were occupied when I was there, hence no photos, but of course more importantly, it meant there were likely some other passengers who wanted a shower and couldn't take them due to all of them being occupied. 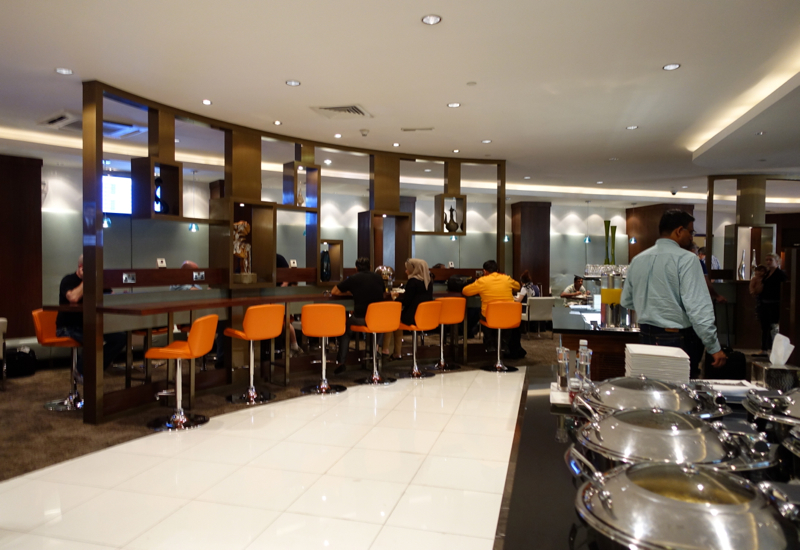 In sum, assuming the Six Senses Spa treatments are as good here as at Etihad's Terminal 3 Lounge, that's the sole reason I'd come early to use this lounge, since in pretty much every other aspect it was a very mediocre experience. 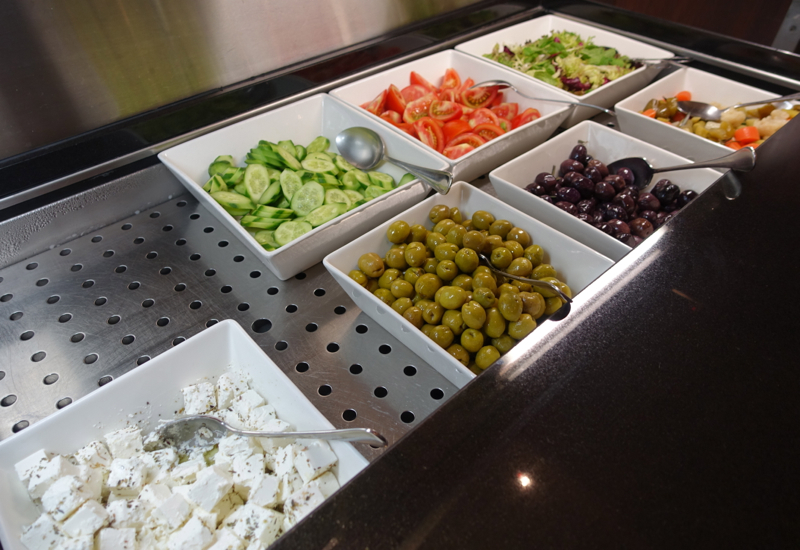 If you've visited Etihad's Premium Lounge in Abu Dhabi Terminal 1, what was your experience?